MY FRIENDS! Thank you for coming by to visit this post! When I peruse my stats (because I am a statistician, that is what I do), this post always has a bazillion people clicking every day. 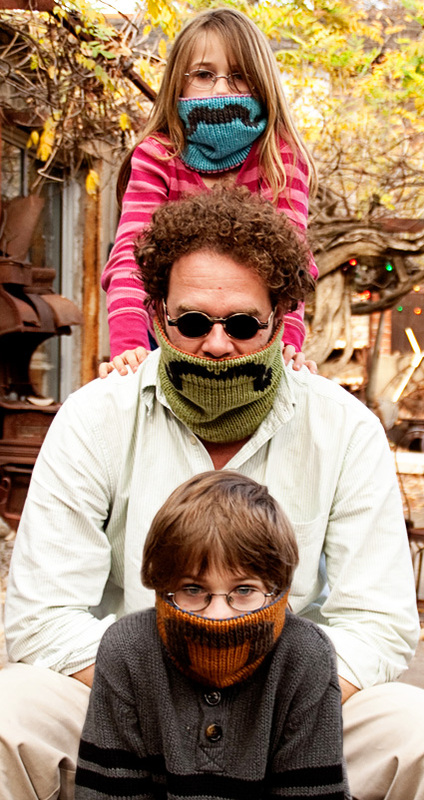 I sincerely hope you are all chaining your way to awesome scarves. 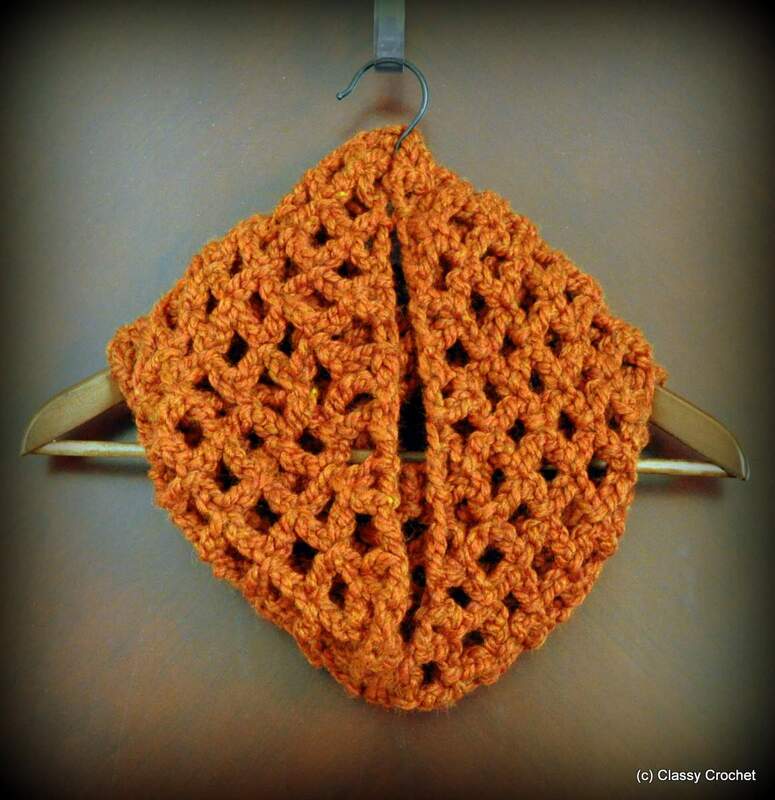 That being said, yesterday I stumbled across a free pattern from the always awesome, always famous The Lovely Crow on a “Genius Headband“. 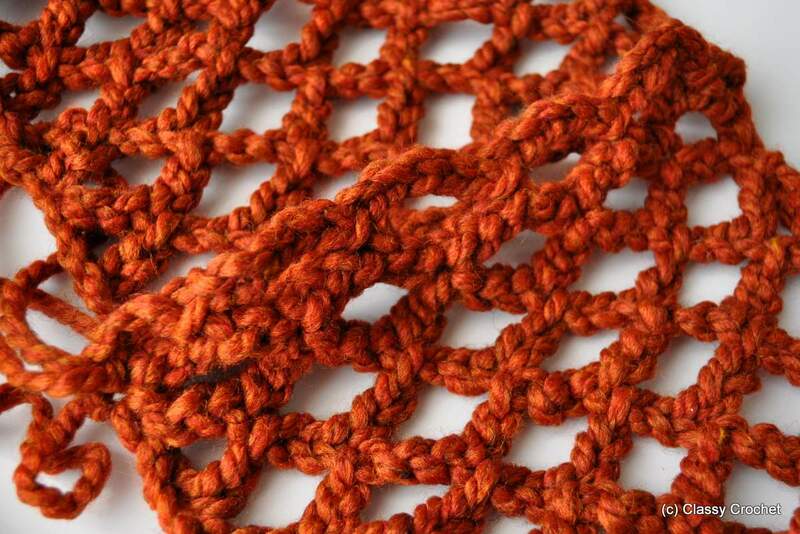 When I clicked on it, I discovered that 1) it was pretty much the same lattice pattern as below, but 2) it has a WAY BETTER finishing technique than mine. 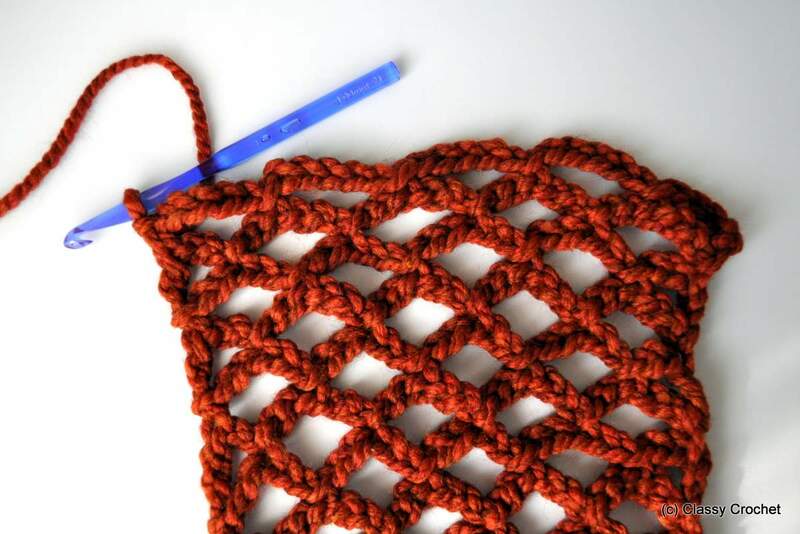 I read the instructions and already I could tell that it creates a seamless, awesome finish instead of the weird lumpy row I was improvising. 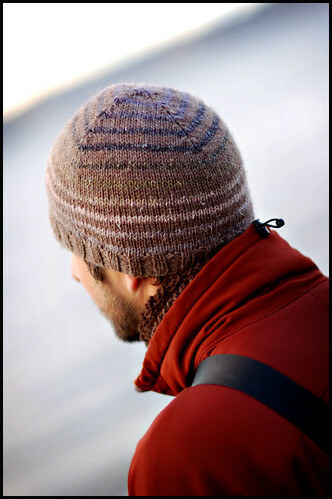 So, that being said, please feel free to visit Ravelry and download the pattern yourself for reference. You’ll need an account, but I have a feeling most of you came here from Ravelry in the first place anyway. 😛 Good luck! 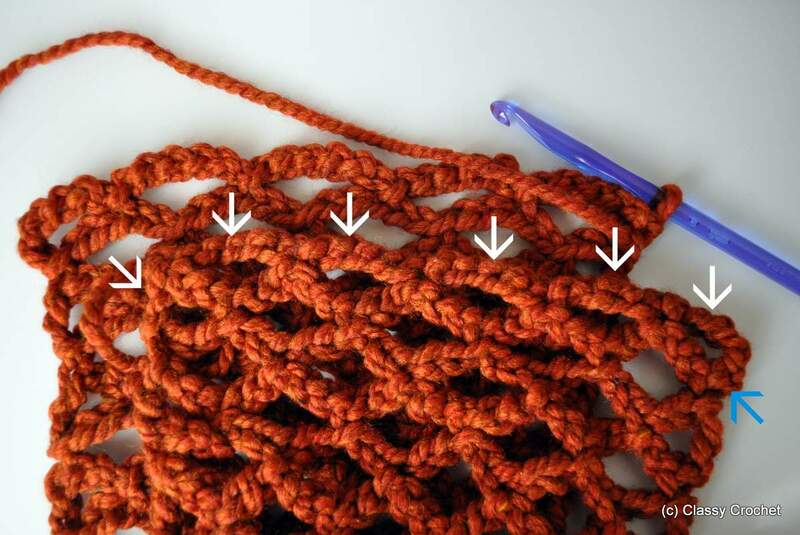 This is my most used go-to scarf pattern. 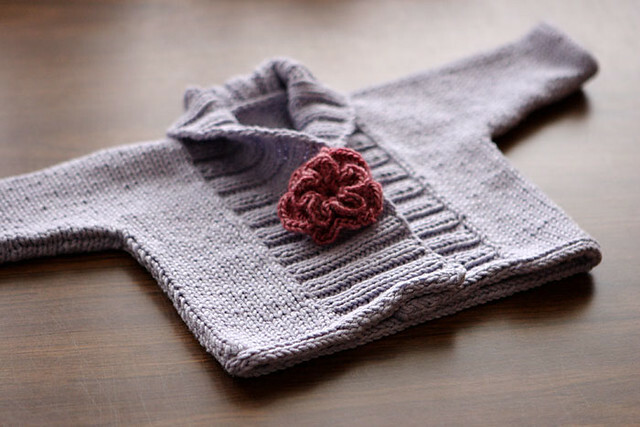 I love it because 1) it’s super easy, 2) it’s super fast, and 3) it’s super yarn/budget friendly. 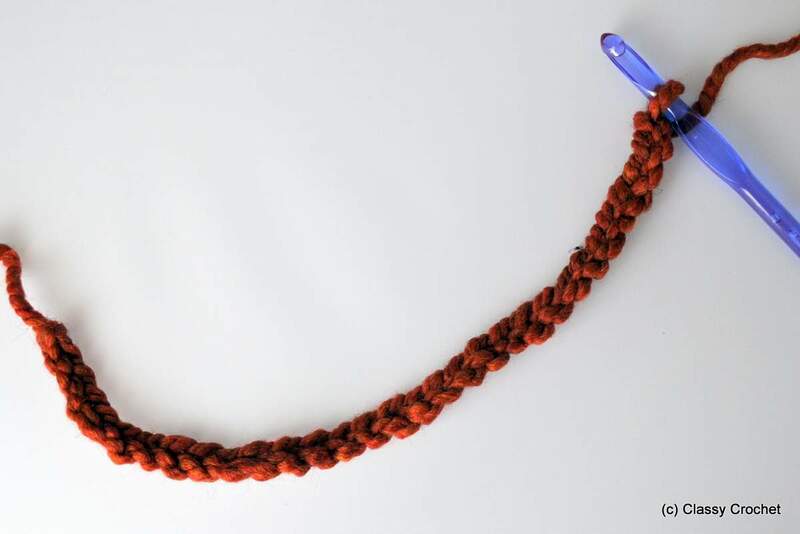 I mean, with all these incredible bonuses working in its favor, how can you *not* be inspired to grab a skein (and a half) of bulky yarn and whip one out too? This scarf is great because the bulky yarn and extra long length keeps you super warm, but the open lattice work keeps you from smothering to death. This is very important because there is simply nothing worse than being simultaneously freezing when it’s cold out, yet having sweat dripping down your chest and feeling like you’re about to choke. Not that I speak from personal experience. 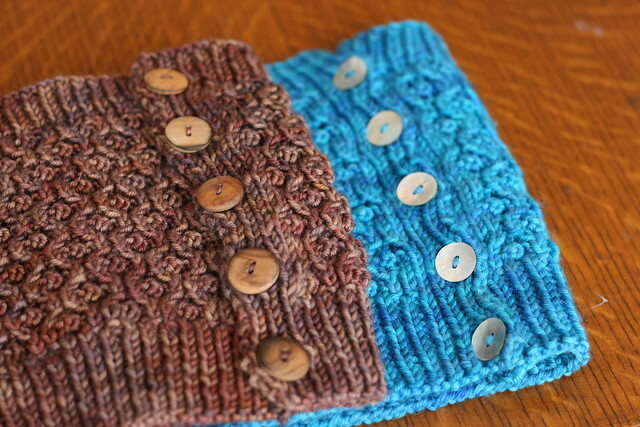 My favorite bulky yarn is Lion Brand Wool Ease Thick n Quick. 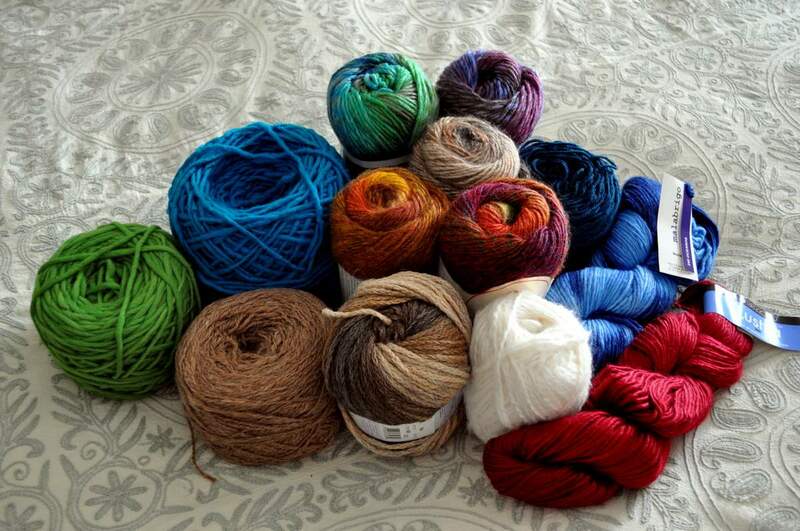 It comes in a variety of really great colors (my personal favorites are citron and lemongrass), it’s that so-helpful blend of acrylic and wool which means it’s cozy and warm like wool but non-scratchy and most importantly machine washable like acrylic, and you can find it everywhere online and in stores and usually for a great deal too. 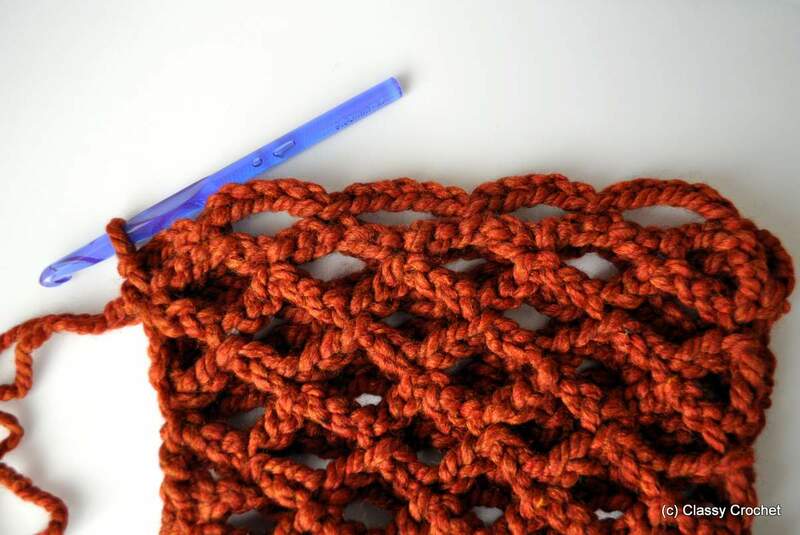 I can’t even remember which hook I normally use – K, L, or M all work with this pattern. There’s no gauge, no swatch, no important notes to reference. And all you have to do is know how to chain. Wha-? 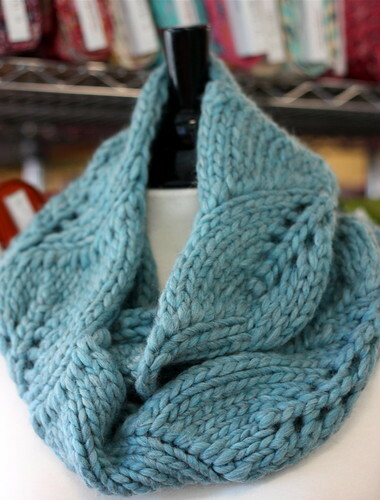 That’s right, this is tooootally a beginner’s scarf. 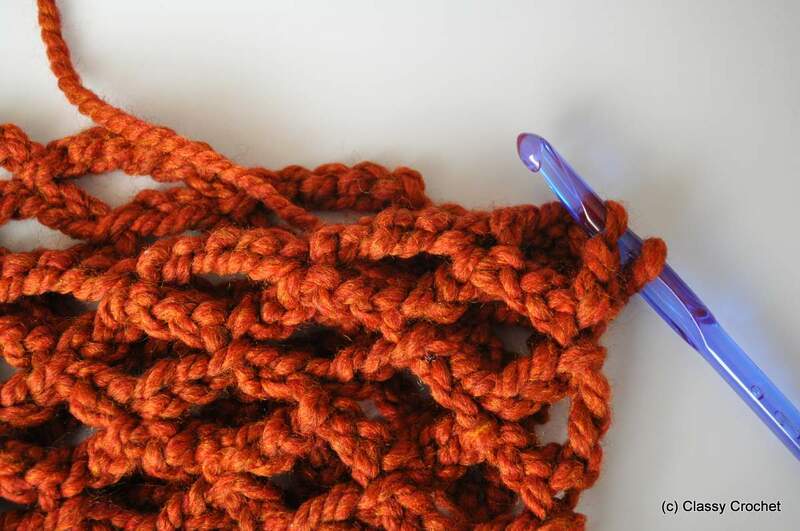 Row 1: Slip stitch into the 10th chain from the hook. Ch5, count every 5 chains, slip stitch, repeat to the end. 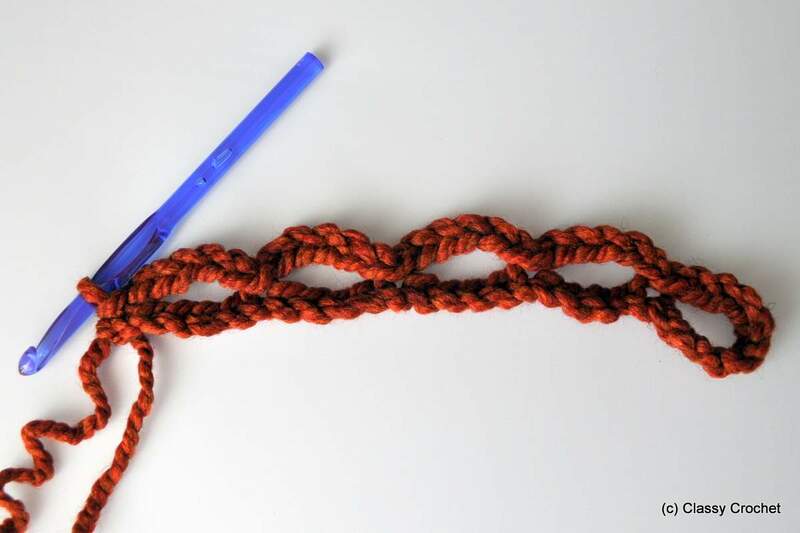 Row 2: ch5, turn, and slip stitch into the middle of the ch5 loop (or third ch). 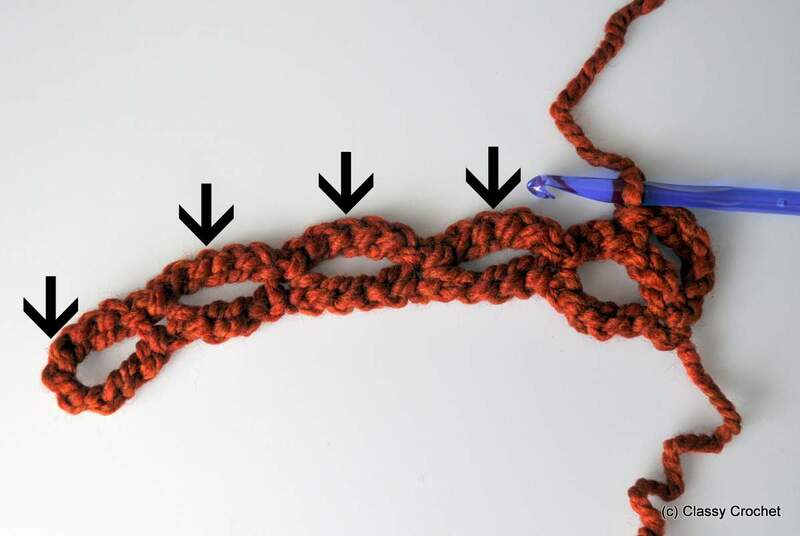 Repeat: ch5 and slip stitch into the middle chain of each loop. End of row 2. Ch5, turn, and repeat. 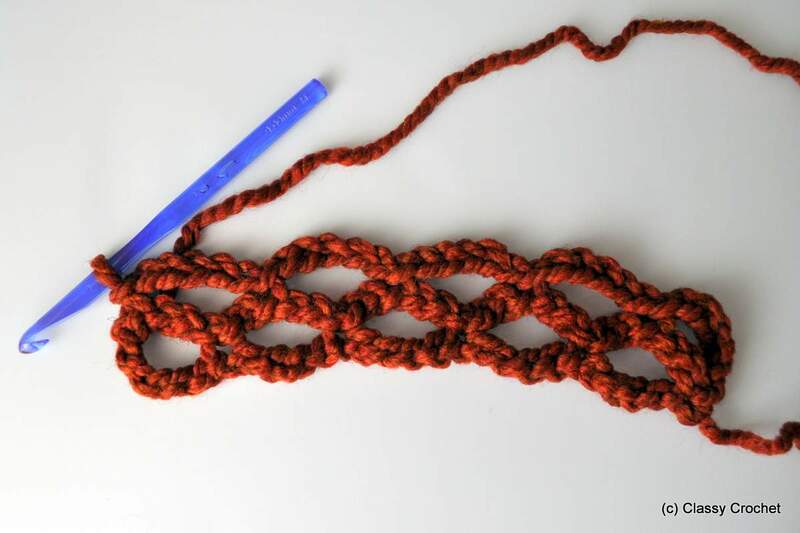 Chain chain chain away until scarf is desired length. …and line up the other edge. You can either make a loop, or twist it once for a ‘mobius’ effect. Starting from the blue arrow, insert your hook and sl st both sides together. …like so. Ch3, then sl st into the top of both loops (the right white arrow on the previous photo). Ch5, sl st into two loops four times. Ch3, sl st into both loops at the end (last white arrow on the left). Your finished edge will look like this. It looks like just another row. It will leave a bit of a bumpy ridge when you lay it flat, but I’ve never had anyone complain about it, and it’s barely noticeable when you put it on. Loop that sucker around your neck and go conquer the world! 11/23/2013: Final addendum. 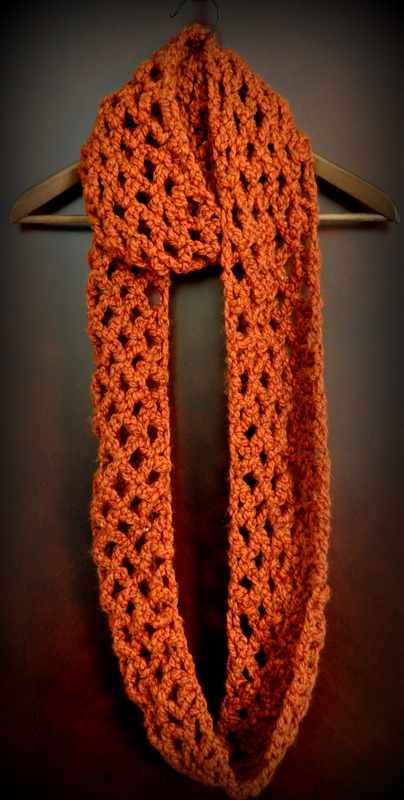 I’ve had several people ask (very nicely) if they could sell scarves made from this pattern. Please, feel free. If you’ve put the time into it, you should reap whatever benefits you want. I humbly request a link or acknowledgement of some kind to this post, but otherwise, chain away to your heart’s (profitable) content. Thanks! !